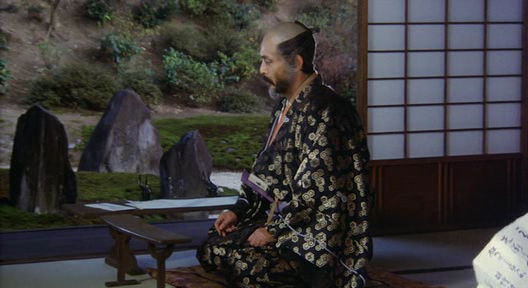 TCM, as part of their Akira Kurosawa’s 100th birth month anniversary last April I think, was showing Kagemusha at 2 in the morning. 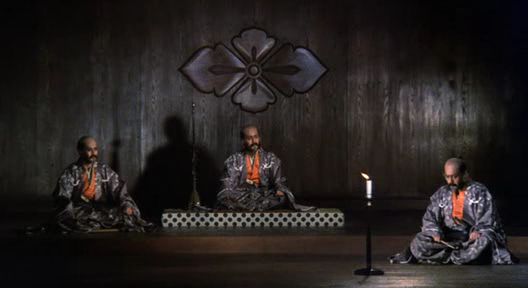 It’s the story of an aging warlord who hires a beggar to impersonate him, or something like that. I remember the scene when a messenger runs through soldiers sleeping on the grounds outside the palace, their flags rising as they’re woken up. It’s like Riefenstahl but with a little sense of irony.Then I dozed off after ten minutes. TCM really needs to stop showing good movies so late at night. 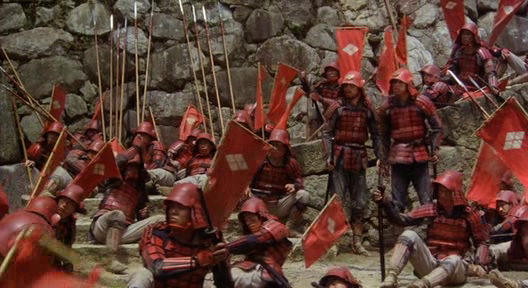 Kagemusha‘s gonna be screening at the Cinematheque today. I gotta go to a baptism in the border of East York and Scarborough at 2, then mission downtown by 4, which is when the movie’s showing. The film’s MUBI profile hints on some intense studio lighting. Squee! Screw the Sopranos series for a while. Here’s Abed as Don Draper via SUNNY1 from Jezebel. Have fun watching Mad Men tonight at 10 on AMC! And boy did Peggy’s hair change.